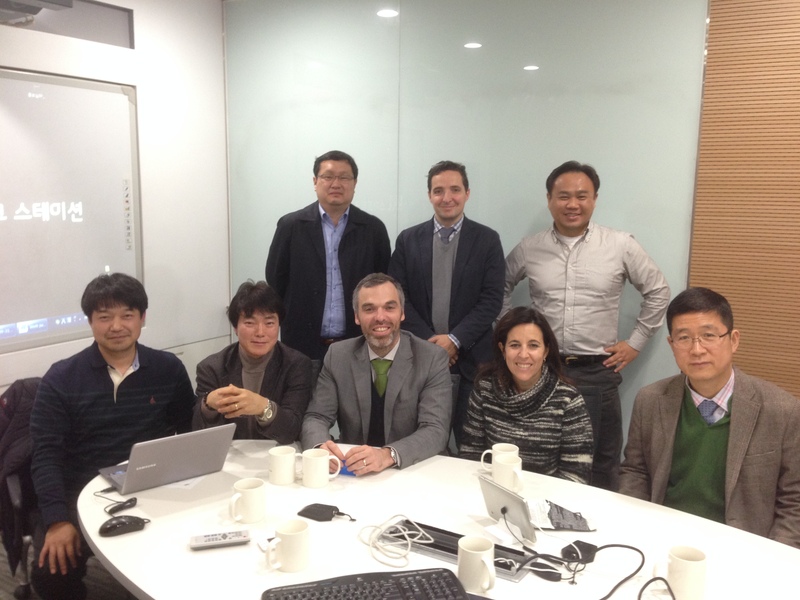 On 21 and 22 January 2014, was held in Jeju (South Korea) a coordination and monitoring meeting of the project EKRUCAmI (Europe-Korea Research on Ubiquitous Computing and Ambient Intelligence). This meeting was attended by all partners involved: Polytechnic Institute of Porto, University of Salamanca, Catholic University of Daegu and the National University of Sunchon, and allowed, in addition to the presentation and discussion of the results of the work done to date, the contact with various incubation spaces and other technological infrastructures such as technology parks, science parks, etc. During the visits it was possible to make contact with some companies, examples of success, in the areas of research that the project covers, which opens interesting perspectives for the implementation of the technology that is being developed in the consortium involved in EKRUCAmI.